How many squares does the diagonal of the rectangle pass through? Find a rule to determine the number of squares. Touch or click to shade and count the squares at the diagonal. 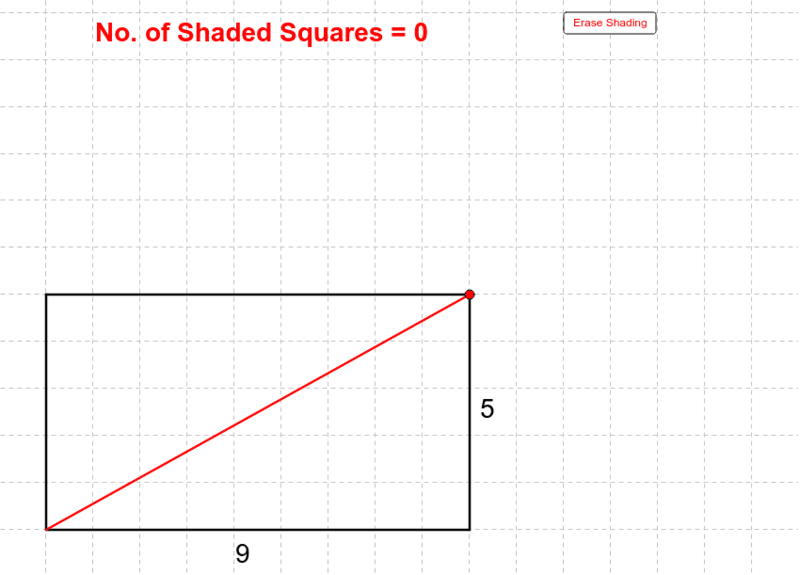 Drag the red point to change the dimensions of the rectangle.